“Do you sometimes feel the same way I do now, just forsaken, like a little leaf in the wind, with the feeling, that nobody on this whole blue sphere thinks of you? Yes? Today I am feeling this way, and I sit by the window thinking about my little sister Eva. I stare at the horizon and feel that out there, somewhere far away out there, Eva is thinking of me just now. Eva always loved me, she always called me MON AMOUR or AMORE MIO, but someday there came someone she loved even more than me, and along with him Eva moved away, far away. And now I am alone here by the window and I am sad, and it is raining, and Eva is not here and can’t tell me any stories. Eva is my little sister. She was so small, that she was almost invisible, when my parents moved with us from Italy to NYC. 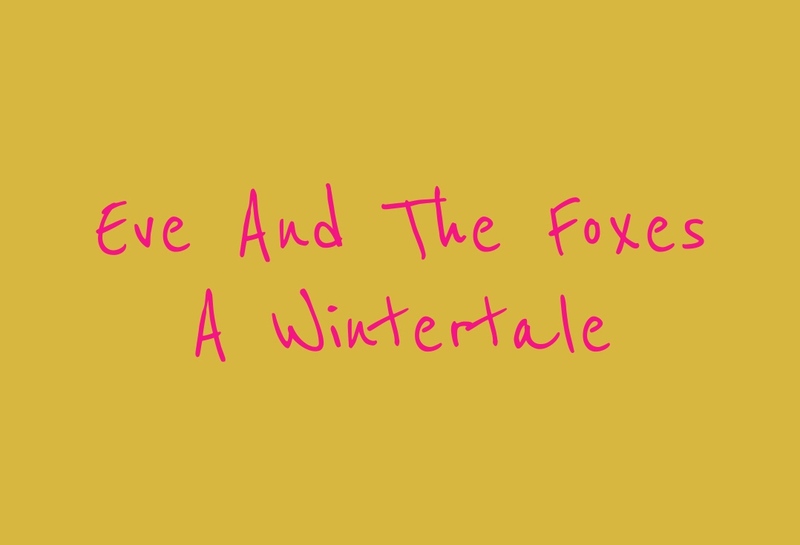 She was and is my little, beloved sister, but when she used to tell me the story about Eve and the Foxes, a long time ago, then she used to put on her glasses and went on telling and looked upon me with her big, earnest eyes. She was checking if I was listening carefully, and then, you know, it was me who was the little kid, Eva’s little brother, and I couldn’t look straight into her eyes, because Eva then became an old, strict but good hearted fairy. And every time when I had to cry at the end of Eve and the Foxes, Eva held her hand before her glasses, because when you love someone, you cry when the beloved is crying, and your hearts touch each other.